Damage to your smile: The extra set of teeth in the back of your jaw can push your other teeth together, causing bite problems and serious pain in addition to misalignment. Sinus issues: Issues caused by wisdom teeth can cause pressure, pain, and congestion in your sinuses. Jaw damage: Cysts can potentially form around your wisdom teeth, which can damage your jaw and nerves without treatment. Gum problems: Your gum tissue around your new teeth can become enflamed and irritated as well as hard to clean. Cavities: Your extra set of teeth makes it harder to clean your smile. Plus, the swollen gums that they cause can lead to more cavities from bacterial growth in the pockets of your gums. Alignment and bite: Impacted wisdom teeth, or teeth that can’t fully break through the gumline, can cause crowding of other teeth. In turn, this usually leads to needing orthodontics to straighten out your smile. The wisdom tooth surgery typically takes 45 minutes or less, and you’ll receive anesthesia to remain comfortable during the process. Once you can’t feel a thing, your dentist will extract your teeth. Because most wisdom teeth aren’t fully erupted, your dentist may have to make a small incision in your gums or bone to get your tooth out. Then, they’ll expertly stitch you up with stitches that dissolve in a few days. After surgery, you may feel groggy or light headed, but everyone responds to anesthesia differently. 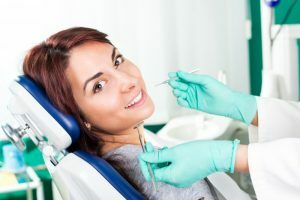 It depends on the type of anesthesia administered for your surgery, but typically, patients will need someone to drive them home after the procedure. You probably have soreness or swelling, but most patients experience very little pain. Now that you know more about wisdom teeth, do yours need removal? Talk to your dentist to see if you need wisdom teeth extraction in Jacksonville. Dr. Jignesh Patel and Dr. Andrew Calhoun are a team of dentists who love providing quality care for their patients. They are both skilled and experienced in wisdom tooth extraction. They currently practice at Dental Center of Jacksonville, and they can be contacted through their website or by phone at (904) 262-9466 for any questions.